There are three seiyuus whose singing voices I absolutely adore. Firstly is Suzumura Kenichi, second is Junichi Suwabe, and thirdly Kaji Yuuki. Of course there are other voices that I like too, for example Kishow (Taniyama), Kamiya Hiroshi, Sakurai Takahiro, Miyano Mamoru and Ono Daisuke. 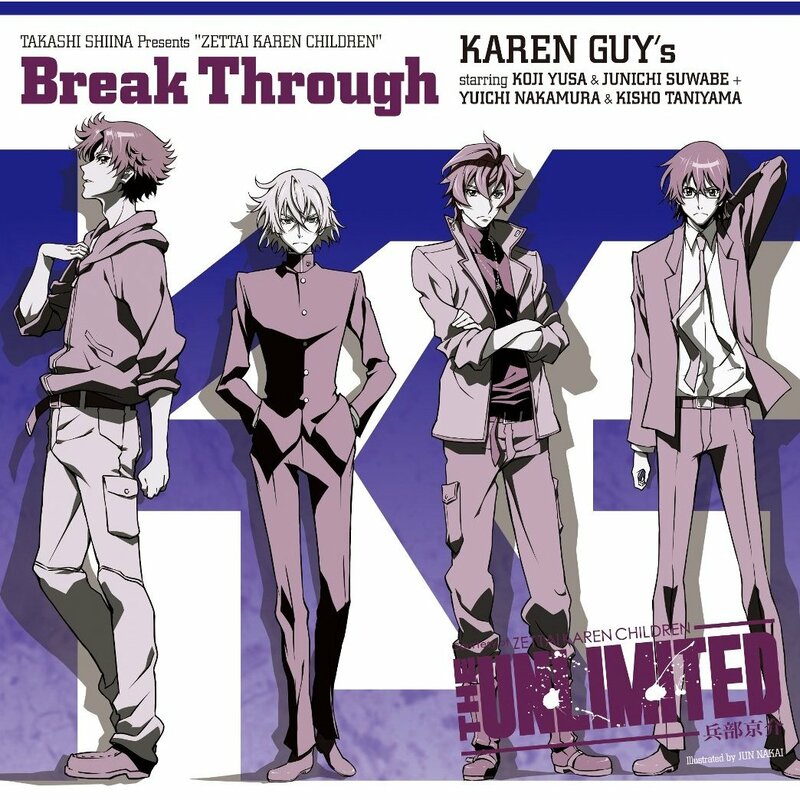 Notes: One of the ending songs used in the anime Zettai Karen Children: The Unlimited - Hyoubu Kyousuke. I really enjoyed this action packed anime. The voice acting was superb. Guess what? What. I finally reached 10K followers! Really? Ya really! Amazing! 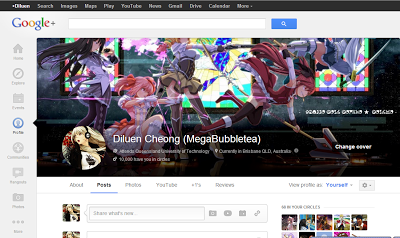 I joined Google+ back when it was still in Beta and since then I have seen it improve over time to become a stable and reliable platform for social networking. I love how Google integrates all its services using one account and I can't imagine living without Google's many useful products. I didn't have much followers since the beginning and I was one of those quiet Google+ users in which I didn't add anyone that I didn't know. 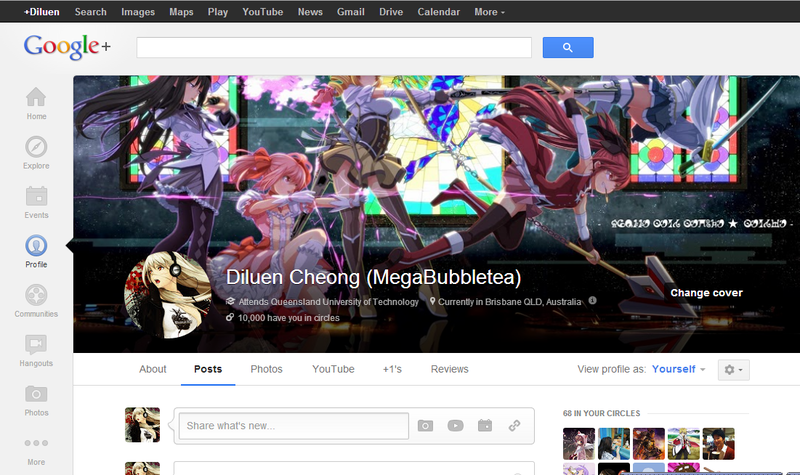 Thanks to the Google+ Anime Community, I now reached over 10K followers! I would like to say thank you to everyone that added me and supported me! 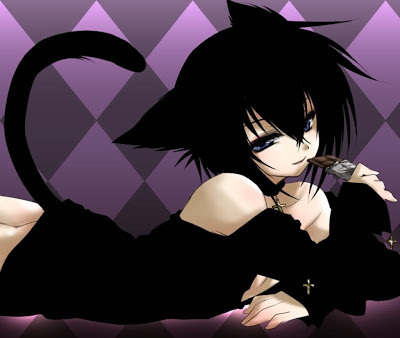 Do you like dark chocolate? What about a dark neko chocolate?